A creamy hot chocolate mix with a hint of coffee. 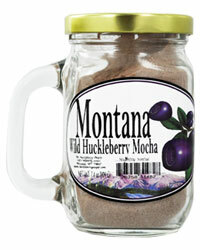 Our 7.2oz mochas make a great gift! Available in everyone's favorite flavors: wild huckleberry, snickerdoodle, irish cream, kalhua and cream, etc.